The capaNCDT MD6-22 capacitive dual-channel handheld gauge is used for mobile and precise measurement of gaps. This measuring device impresses with high accuracy, intuitive operation and long battery life. Thanks to preset measurement modes, the handheld gauge is immediately ready for use. Compatible with all capacitive sensors from Micro-Epsilon, the MD6-22 is used in different measurement tasks, e.g. for rotor gap monitoring in wind turbines and alignment of rollers in plant and machinery. Inserted into the gap, the flat sensors from Micro-Epsilon determine the gap width based on the active measuring area. Gaps up to 12 mm can be detected reliably. 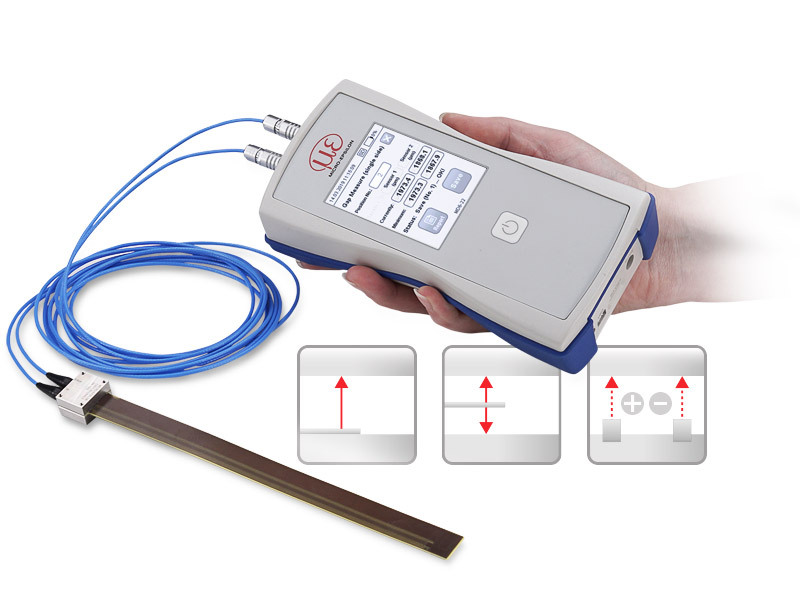 Thanks to preset measurement modes, the handheld gauge is immediately ready for use. The capaNCDT MD6-22 can be operated in three different measurement modes. 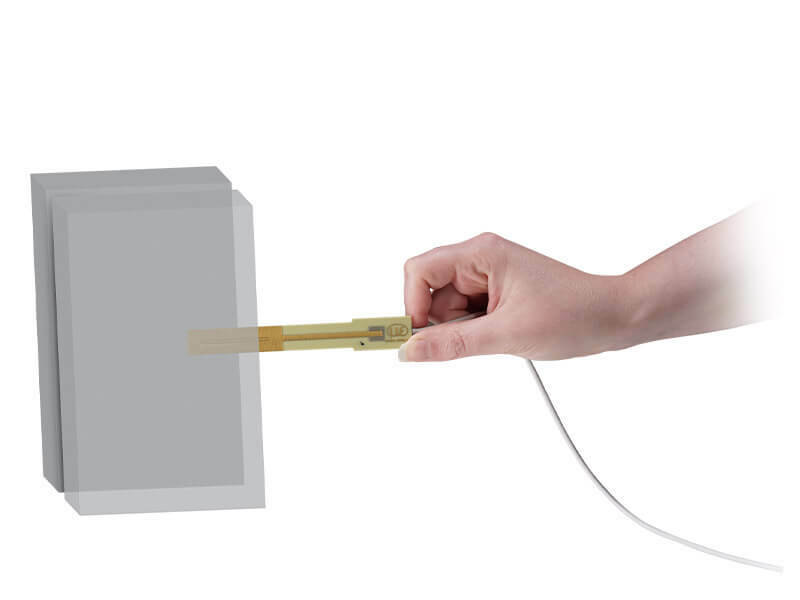 The gap measurement mode (single-sided) allows for one or two single-sided flat sensors to be used in gap measurements. The gap measurement (double-sided) mode enables the operation of the handheld gauge with a double-sided flat sensor. In the raw measurement mode, two distance sensors can be evaluated together.